MARION, Ark. — Marshall Skinner is a god-fearing man with a big heart for his family and racing. 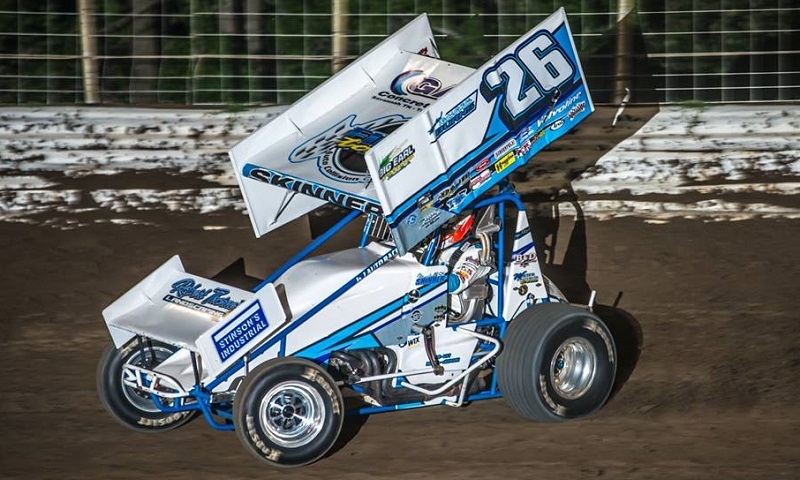 Skinner, a mid-south born-and-raised 360ci winged sprint car driver, finds himself in contention to win in nearly every single race he enters. But not only is he a good wheelman, he is one of the friendliest people in the pits. And that’s no surprise, either. Methanol is in his blood; it has been since birth. Anyone that sees Skinner’s white No. 26 unloading at the race track instantly knows that winning just became a more daunting task, but even with as many victorious years under his belt as Skinner has, there’s a few moments that stand out to him. Of particular note was his 2014 season, in which Skinner completed a Mid-South trifecta by winning both the Riverside Int’l Speedway and I-30 Speedway track titles, as well as the COMP CAMS Interstate Cup championship. With as many wins as he has, it’s difficult to isolate just one or two, but Skinner had an idea on that front as well.